This entry was posted on April 17, 2013 by Joe Lunievicz. 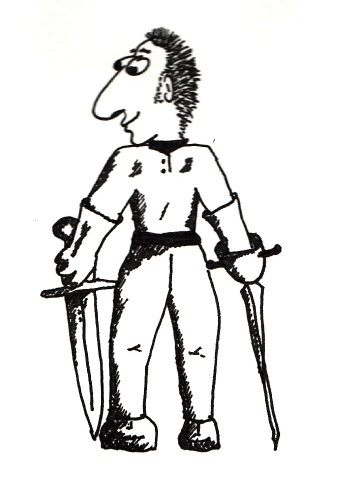 It was filed under A-Z Challenge, Blog, Coach Wrak, Fencing, On Writing, Stage Combat . Yup. Of course I’ve tried it too.. and I just get tagged. Too slow on the parry, not focused enough. I sweat instead of making my opponent sweat. It’s something to work toward. Love your coach’s name! Interesting post–it’s not just about the technical skills, is it? There’s the head game, too. That would take a lot of skill, and a lot of confidence in that skill. I should imagine that you’re also a good chess player. Actually I’m terrible. But I enjoy the game! Thanks for stopping by.